See details DAP 63001 TRI-SODIUM PHOSPHATE (T.S.P) SIZE:1 LB. The all purpose cleaner used by professionals prior to painting exterior surfaces. It removes mold, and de-glosses surfaces that are oil-base painted. 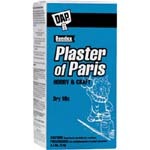 Ideal for cleaning garage or basement floors, it can be used to restore dried, used paintbrushes.